iBanking is conquering even greater market share in Romania and becomes a serious competitor on a big market. 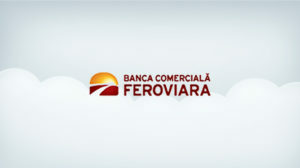 Banca Comerciala Feroviara has signed a contract for the implementation of the iBanking Retail, iBanking Corporate and mBanking solutions. The implementation will be performed in stages, and the advantages of the modern online banking will be experienced by residential clients (iBanking Retail solution). In addition to the modern approach and improved, fully customizable user interface, Banca Comerciala Feroviara will get a new marketing and sales channel for their products and services.